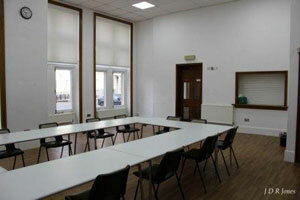 There are three rooms available for hire, all of which have free superfast Wi-Fi. 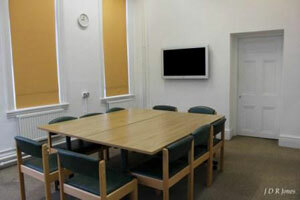 We also have rooms available to hire in other libraries in the borough. 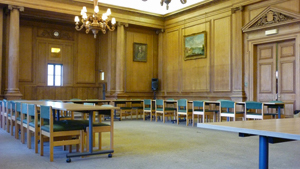 This wood-panelled former Council Chamber, overlooking the Thames at Richmond Riverside, is an ideal venue for presentations, meetings, receptions, and networking events. It has a stage, a dance floor and an adjoining kitchenette. View the room layout (pdf, 852KB). An excellent business venue which is perfect for conferences, presentations, formal and informal meetings, small receptions and networking events. It also lends itself to use as a training facility with data points and power sockets for 12 devices. The room has direct street access and an adjoining kitchenette. View the room layout (pdf, 47KB). Available for daytime hires and early evenings up to 6.30pm on Mondays and Wednesdays. A choice venue for small meetings/conferences, presentations or as a temporary office or interview room. View the room layout (pdf, 33KB).